“Technology can save your life” is a threadbare cliché. But for Rob Sandler, a 50-year-old senior marketing executive at medical imaging firm Exact Imaging, that overused phrase transformed overnight into a sacred truth. During a routine test of a high-resolution ultrasound machine developed by the company, it spotted something wrong: Sandler had aggressive prostate cancer. Cancer of the prostate is the most common type of cancer in men. If detected early, it is extremely treatable. But if left undiagnosed, significant prostate cancer can invade other organs and tip the odds against the patient — five-year survival is then a dismal 29 per cent. The trouble is, prostate cancer can be difficult to detect early as doctors are essentially looking for a tiny lump on an organ the size of a walnut. 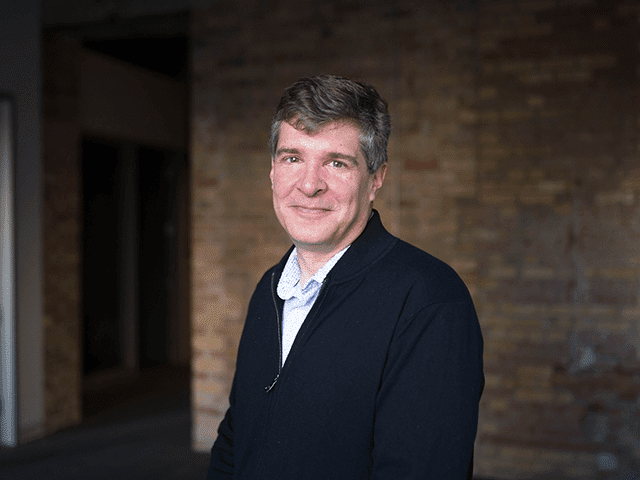 Exact Imaging has developed a high-resolution micro-ultrasound that helps doctors to detect possible prostate cancer and enables them to better target biopsies. It has so far sold 25 systems around the world at the price tag of $150,000 per machine and is also working on an artificial intelligence algorithm to further hone its detection abilities. 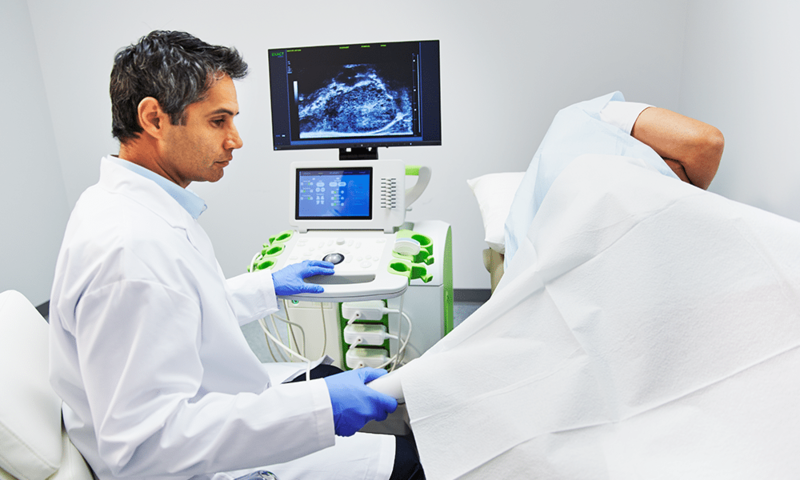 As part of their product development, Exact Imaging’s engineers sometimes ask senior managers to act as model patients to test the micro-ultrasound scanner. One day this past summer, a tap on Sandler’s office window told him it was his turn to volunteer. His eighth time being scanned, Sandler thought nothing of it as he made his way to the lab. But as the scan was being conducted, it was clear that this time something wasn’t right. There were unmistakable lesions on the high-resolution images, serious enough for them to be immediately dispatched to a uro-radiologist at Princess Margaret Cancer Centre in Toronto. After further tests, the results were indisputable. Sandler had a very aggressive cancer that probably would have spread like wildfire in a few months if not treated immediately. “I wouldn’t be sitting here if it wasn’t for me volunteering for that random, inadvertent scan done by our micro-ultrasound,” says Sandler. To appreciate Exact Imaging’s technology and Sandler’s near-brush with death, it is helpful to consider how convoluted the process of looking for prostate cancer can be. Men usually go first to their family doctor for a digital rectal examination — but prostate cancer is difficult to pick up in its early stages using this technique. Elevated levels of a marker called prostate specific antigen can be a warning sign, but this test is not usually ordered for men below age 55. Ultrasound scans are often used to detect signs of cancer and guide biopsies, but the conventional low-resolution machines were designed to monitor fetuses or larger organs such as the heart. An MRI scan has better resolution but they are expensive to perform, so are often used only on patients deemed at higher risk. “Small suspicious lesions that are too small to see on conventional ultrasound are frequently missed,” says Sandler. Conventional ultrasound functions at 6-9 MHz; Exact Imaging’s technology functions at the much shorter wavelength of 29 MHz. That resolution can detect small, early-stage cancers and guide doctors to their exact location to take biopsy samples for analysis. Sandler’s cancer had not metastasized and, in early September, he underwent surgery. “Miraculously, I was back at work in seven weeks,” he says. “There are so many terrible stories — Gord Downie is just one of them — where a serious cancer has no cure or a treatable cancer is detected too late. I was incredibly lucky,” says Sandler.